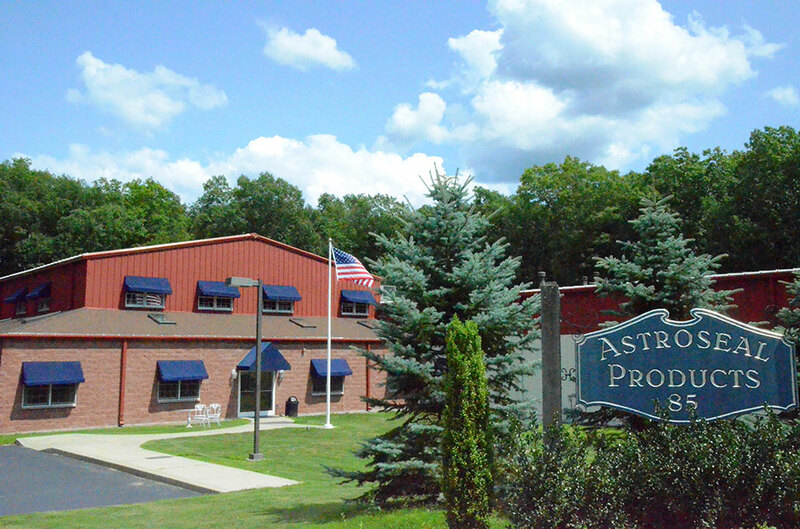 Astrostrike® in the Field - Astrostrike® Premier Lightning Strike Protection by Astroseal Products Manufacturing Corp. 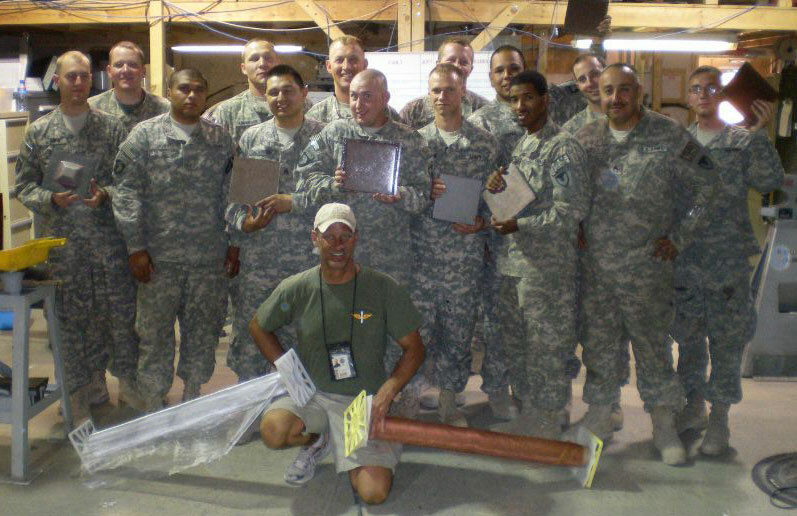 In the summer of 2009, Astroseal was contacted by David Batts, civilian, developing classes for the US Army 159th AVN for advanced composite repair at the battlefront. Astroseal supplied several Astrostrike® products to David for his training purposes, and sent them to him in Afghanistan. Below is the letter and photograph that we received from David after his successful training. 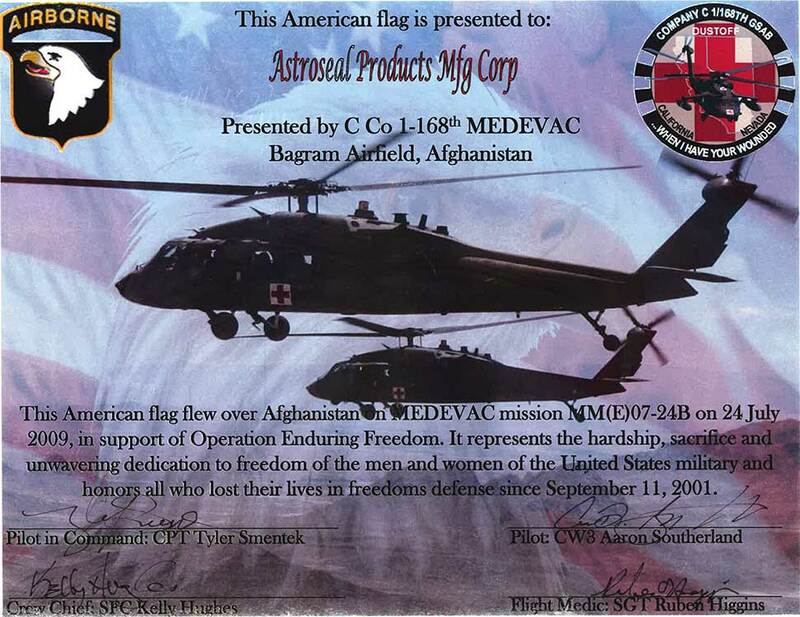 As a courtesy for our participation in this effort, the members of the 1-168th MEDEVAC flight team presented us with a flag flown over Afghanistan during a mission in support of Operation Enduring Freedom. Astroseal is grateful to have had the opportunity to support our US troops in this small way.